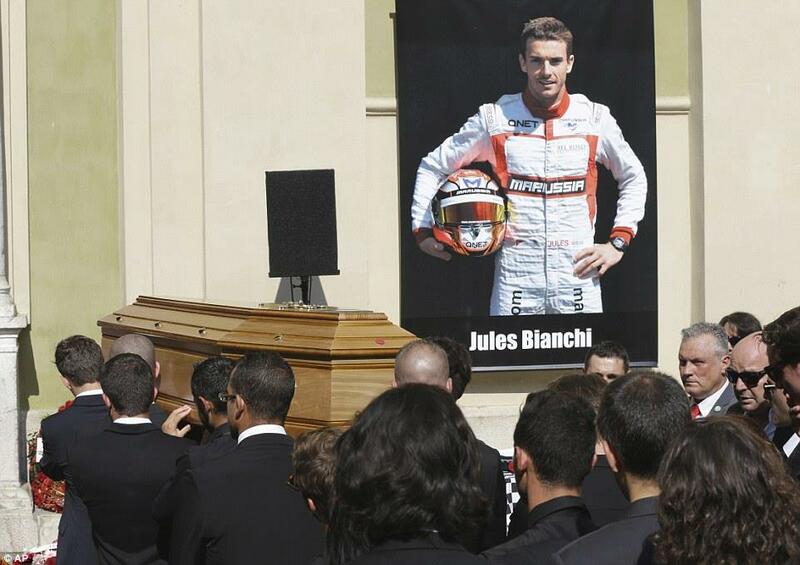 The death of Jules Bianchi came as a major shock to me. He had been someone I had followed through the lower categories and right up to Formula one. He died after 9 months in Hospital after his accident in Suzuka, Japan. I don’t want to remember the grand prix really or add any opinions into the accident. I just want to say rest in peace in Jules and what a top driver you were. Your friends and family have lost someone so dear, we have lost a future grand prix winner and Formula 1 champion. One thing I do hope comes from this is that people will stop forever stating that F1 is not dangerous enough. There have been many comments like this in the past few years from both drivers and fans. Which I have always thought as being throughly ridiculous. 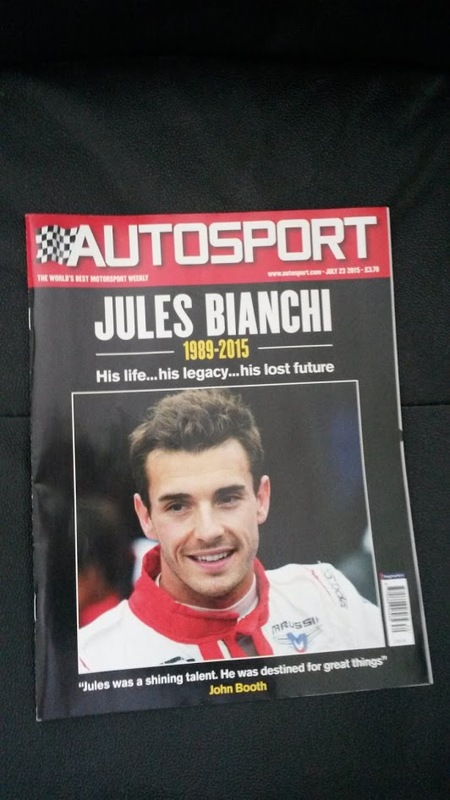 I purchased the autosport last week. It was dedicated to Jules. His rise through the ranks of karting, GP2 to Formula 1.